Michelin-starred Eneko Atxa’s stylish Basque restaurant and wine bar opened in the heart of London in September. 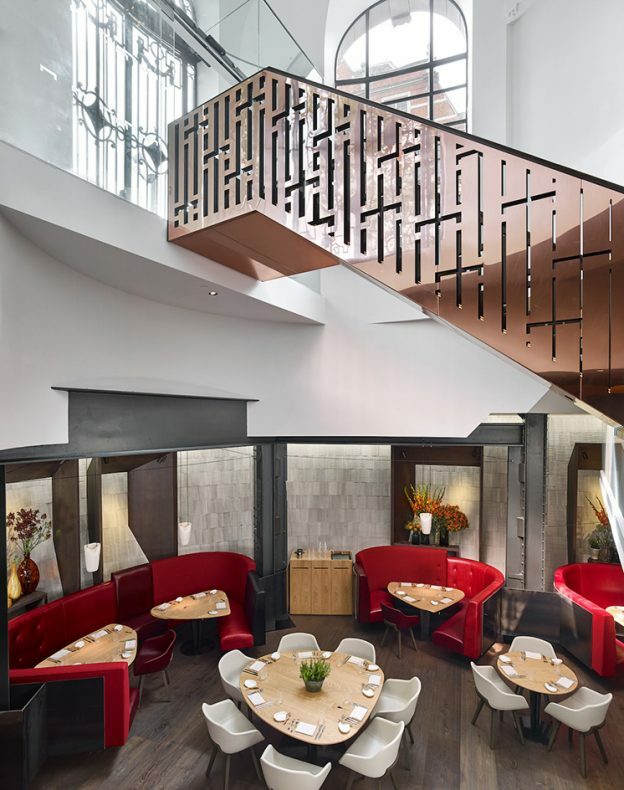 DHA Designs worked alongside Casson Mann who introduced a sleek copper staircase from street-level to mezzanine and revealed and restored the original steel columns to give a greater sense of space to the below-ground dining room. 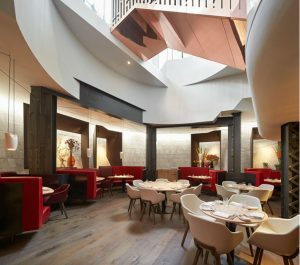 DHA Design’s scheme featur es concealed LED sources to give the impression of natural light falling into the space, making the restaurant light and airy by day, then switching to a cosier ambience from warm colour temperatures after dark. 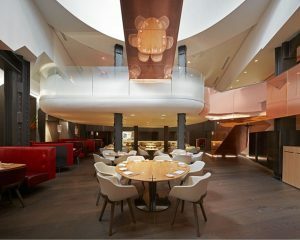 The space is relaxed yet theatrical with each curved booth spotlit like a stage, with a backdrop of sculptural flowers. This entry was posted in All and tagged Bar, dha, Lighting, lighting design, Restaurant on August 2, 2017 by Will. After a three-year design and construction process, the Hintze Hall was opened to the public on the 18th July. The star of the space is Hope, the female blue whale who beached in Ireland, 126 years ago. Hope has been hung in a dynamic, diving pose, to greet visitors as they come through the entrance doors to the museum. 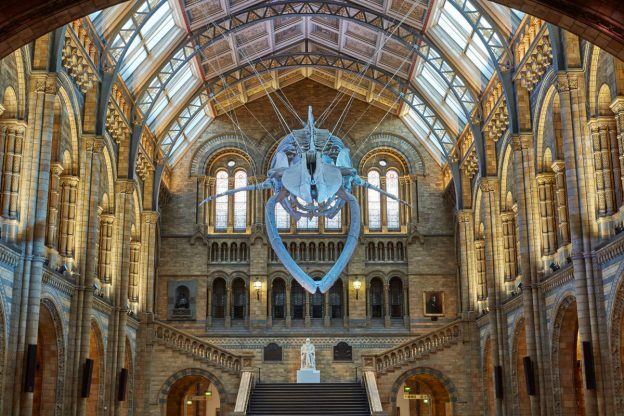 DHA Designs worked with the renowned exhibition design company, Casson Mann, on re-lighting the entire hall and the new exhibits, which showcase some of the star items in the Natural History Museum’s enormous collections of flora and fauna. DHA’s lighting scheme sought to give the space the ‘cathedral of nature’ that the hall is known for, replacing an ageing and inefficient scheme that had little flexibility for events and evening uses of the museum, which are very popular. 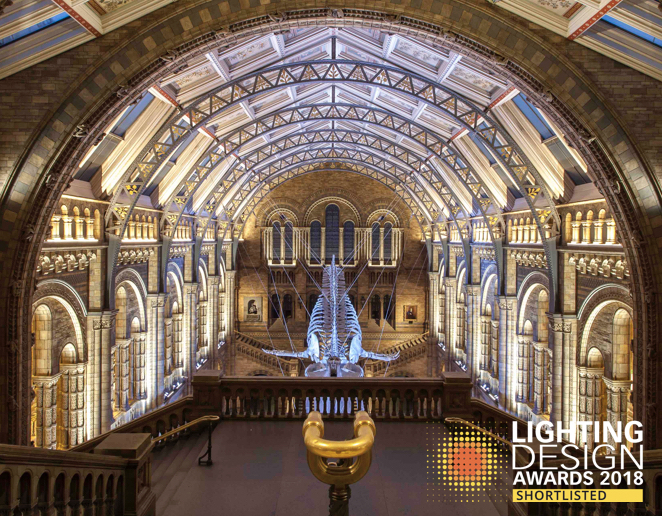 Further, an entirely LED-based system was used, including all of the showcase internal lighting, to reduce the maintenance and energy costs in this enormous space, and the control system allows the museum staff to switch from museum to event use at just the press of a button. 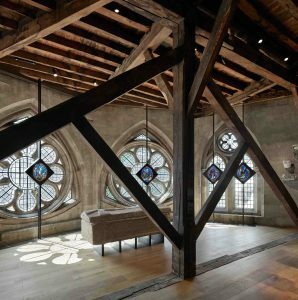 The new hall has been described glowingly in the press, and a fitting tribute to the conservation and preservation work that the museum is known globally for. DHA also produced the lighting scheme for the coinciding exhibition – Whales: Beneath thesurface. As a Blue Whale becomes the must-see display of the Museum, visitors can dive deeper into the mysterious world of Cetaceans in the new summer family exhibition. 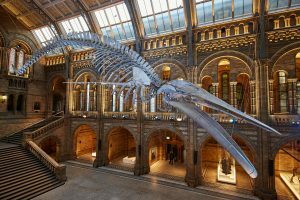 This entry was posted in Recent work and tagged blue whale, hintze hall, hope, lighting design, natural history museum on July 24, 2017 by jonathan. 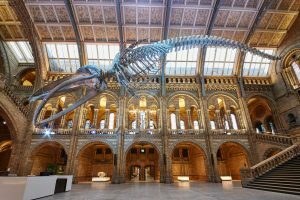 London’s Evening Standard newspaper had a preview of the refurbished Garden Museum just before opening; the newspaper declares it a glorious makeover. DHA worked with the museum staff, Dow Jones Architects & exhibition specialists, GUM, to bring new life to the church & striking new copper-clad pavilions in the church grounds. 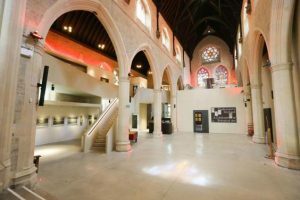 The interior of the church now houses a refreshed exhibition, shop and a versatile space for evening events, seminars & talks. Now Jonathan Howard’s lighting refurbishment combines the new exhibition lighting with concealed architectural fixtures that can change the interior of the space for different uses in the evening. Furthermore, the revised design replaces many energy-hungry tungsten lamps, that despite creating a rich ambience in the space, were using large quantities of energy & were difficult to maintain. This entry was posted in Recent work and tagged dha, garden museum, lambeth, lighting design on May 18, 2017 by jonathan.